They met in the professional crafts program at Haywood College where they both graduated. 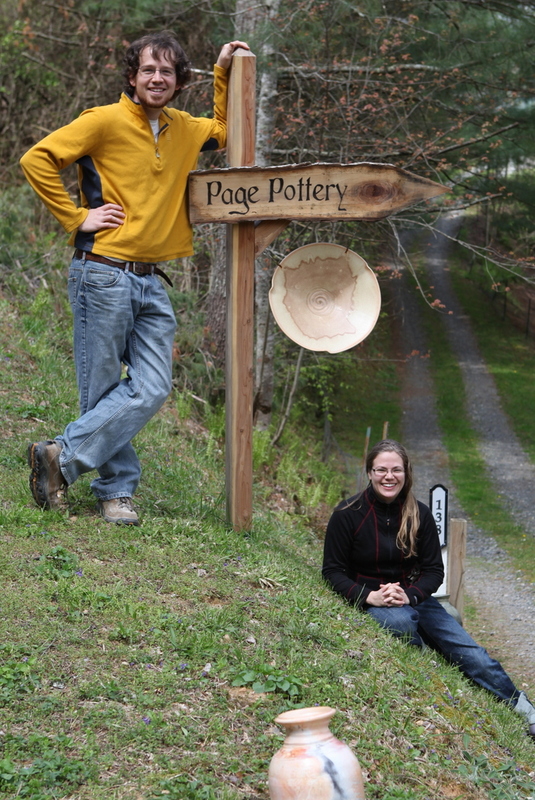 They formed Page Pottery soon after and mud has been slung ever since. All the handmade pottery here was created by husband and wife potters Kristen and J.R. Page in Burnsville North Carolina on our small farm and pottery studio. We invite you to come out to our studio to experience it. Call ahead (828) 381-6638 if you're in the area want to visit our studio and gallery. We are also proud members of the Toe River Arts Council, and a part of the Toe River Studio Tour.